Campsite La Pélonie is a campsite with 71 touring pitches. During low season, between 13-04-2019 - 10-07-2019 and 27-08-2019 - 10-10-2019, the nightly rate is €12,- at one of the 71 touring pitches at Campsite La Pélonie in Saint-Antoine-d'Auberoche (Dordogne). At this campsite you can not only use your CampingCard ACSI for inexpensive camping, you can also use your ACSI Club ID (as an alternative ID). Lovely family campsite, well maintained. Located in the countryside, in the heart of Dordogne, 15 km from Périgueux. Suitable for discovering tourist sights in Dordogne. Two heated pools (1 covered) and various water slides. Wifi free in the low season. Would you like to book Campsite La Pélonie or request more information? You can do both using the information below. On the D6089 (don't take the A road) Brive-Périgueux, 5 km past Fossemagne on the right side, turn in and continue for 200 metres, or coming from Périgueux 5 km past St. Pierre on the left. 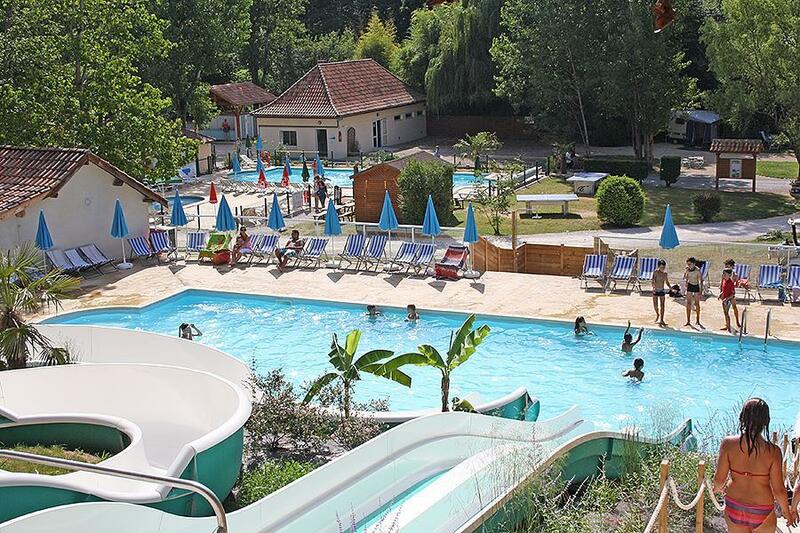 CampingCard ACSI will send your information request to "Campsite La Pélonie".